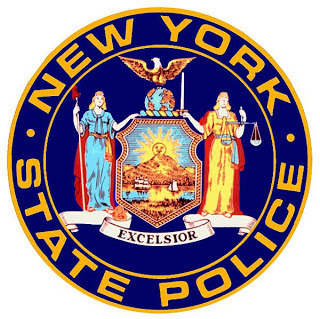 Monsey - On January 22, 2013 at approximately 8:00 p.m., The New York State Police investigated a two car motor vehicle accident that resulted in one fatality on Interstate 87 in the town of Ramapo, County of Rockland. The investigation revealed that ALVIN S. LAPIDES, age 81, of Monsey, NY was operating a 1992 Toyota Camry, in a northerly direction in the southbound passing lane on Interstate 87 when he struck GAELYN V. ASHLEY, age 17, of West Point, NY, head on. MADELINE LAPIDES, age 76, a front seat passenger in her husband's vehicle, was pronounced at the scene by the Rockland County Medical Examiners Office. ALVIN LAPIDES was transported to Good Samaritan Hospital and was treated for possible internal injuries. ASHLEY was uninjured as a result of the accident. The Troop F Collision Reconstruction Unit responded to the scene and the investigation is ongoing. We had no luck in getting photos of this job, so we just posted the press release that we gor from the NYSP.